CANBERRA, Australia — Five Australian lawmakers were forced from Parliament on Wednesday in an ongoing legal wrangle over a 117-year-old constitutional ban on dual citizens standing for election. 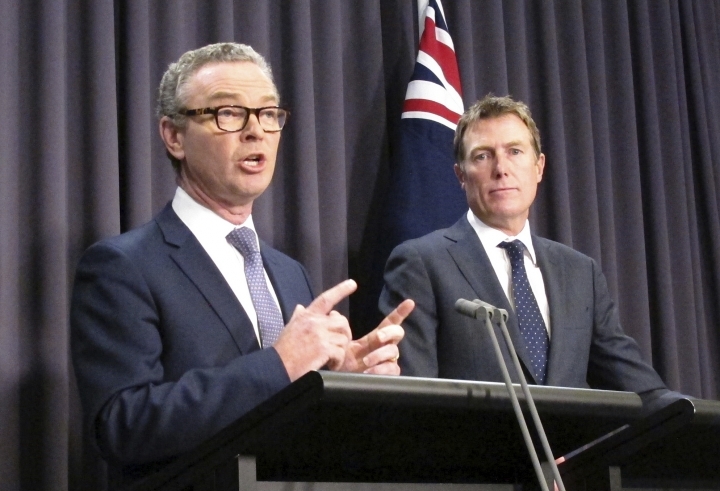 Five by-elections that will result from the latest turmoil create opportunities for Prime Minister Malcolm Turnbull's conservative coalition to increase its single-seat majority in the House of Representatives, where parties need a majority to govern. But a firmer grip on power could be short-lived, with Australia facing a general election within a year and potentially as early as August. 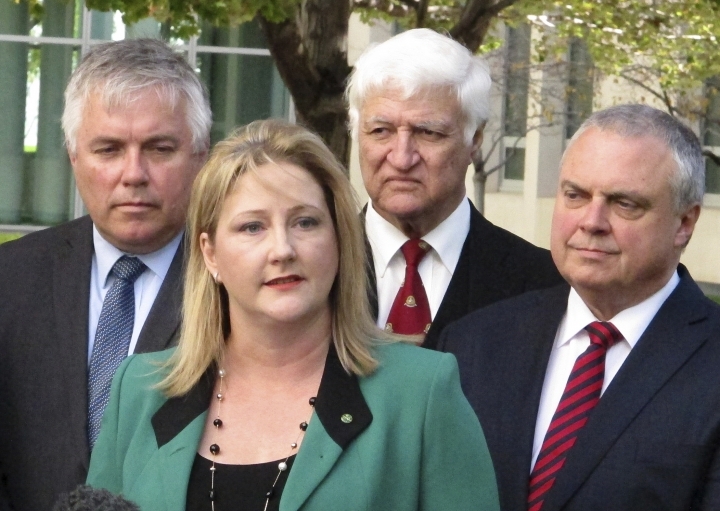 Opposition Sen. Katy Gallagher became a test case in the High Court in its interpretation of the ban on dual nationals being elected to Parliament. The ban had already ended the careers of nine lawmakers last year. Gallagher had argued that although she was a dual national when she was elected in 2016, she had taken all reasonable steps to renounce the British citizenship that she had inherited from her father. She had applied to renounce her British citizenship and paid the British Home Office an administration fee 32 days before the July 2 election. But the Home Office didn't register that she was no longer British until Aug. 16. The court ruled unanimously on Wednesday that the senator was disqualified. As a senator, Gallagher will be replaced by another candidate from her Labor Party without a fresh election. But an independent lawmaker and three Labor legislators quit the House of Representatives on the strength of the ruling because of complications or delays in ridding themselves of British citizenship. All four said they would run again at by-elections that could be held as early as June 16. Another Labor lawmaker also recently quit for family reasons, and a by-election for his electorate will likely be held on the same date. 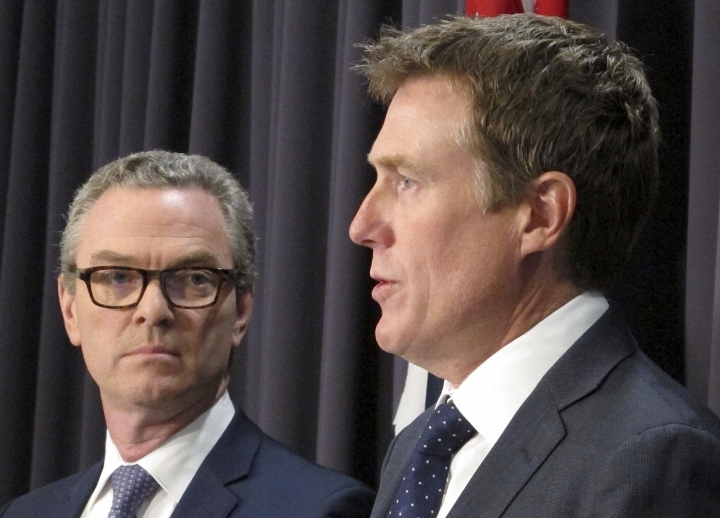 Attorney General Christian Porter said the ineligible lawmakers should have quit in October, when the High Court last made a strict ruling on the dual national ban. "Those four people must resign, they must resign today," Porter told reporters following the court decision and hours before the resignations were announced. The court had ruled in October that a dual national could be elected to Parliament only if a foreign law created an insurmountable obstacle to renouncing that second citizenship, Porter said. "It is quite clear that Great Britain does not provide an insurmountable obstacle for any person wishing to renounce their citizenship," Porter said. But opposition leader Bill Shorten said the High Court had set a new precedent on Wednesday. He said he was pleased that the Labor dual citizens would run for re-election, although he was not sure if one of them, Susan Lamb, was still a dual national. "It would appear that the British authorities are speeding up their responsiveness to resolving these citizenship matters," Shorten said. "The British High Commission, I have no doubt now, will realize that they have to process these matters for candidates at lot quicker than they have done historically," he added.